BLOOMINGTON, Ind. -- Andrew Sullivan, a journalist and blogger for Atlantic magazine, will present a free, public lecture Oct. 13 at Indiana University's Alumni Hall in the Indiana Memorial Union at 7 p.m.
Sullivan's visit is hosted by Indiana University's Student Foreign Policy Initiative and Union Board. In his lecture, titled "Exploring the New Media and its Effects on Global Politics," Sullivan will discuss international affairs and U.S. diplomacy in the context of the Internet and increasing technological capacity worldwide, as well as the use of new media applications during the disputed election in Iran in 2009. After the address, Sullivan will sign copies of his books, which will be available for purchase. Sullivan is the author of five books, including The Conservative Soul, which argues that the American right has strayed from "true" conservative thinking. His writing has been published in The New York Times, The Washington Post and Time magazine, and he has appeared on a number of political talk shows, including "Face the Nation," "Nightline," "Meet the Press" and "The Colbert Report." In late September, "The Daily Dish," Sullivan's political blog (on the Atlantic website), was ranked in the top 25 of the most read blogs on the Internet by Technorati. Born in the United Kingdom, Sullivan moved to the United States in 1984 after being awarded a Harkness Fellowship to Harvard's John F. Kennedy School of Government. After earning a master's degree in public administration in 1986, Sullivan went on to write for The New Republic and became editor in 1990. During his tenure at The New Republic, the magazine won three National Magazine Awards for General Excellence, Reporting and Public Interest. After resigning in 1996, Sullivan became a contributing writer and columnist for the New York Times Magazine, a regular contributor to the New York Times Book Review and a weekly columnist for the Sunday Times of London. 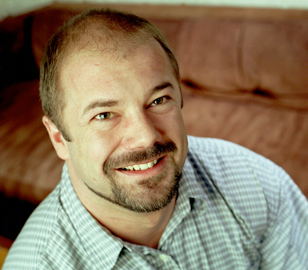 In the summer of 2000, Sullivan became one of the first mainstream journalists to experiment with blogging, and soon developed a large online readership with andrewsullivan.com's "The Daily Dish." He has blogged independently and for Time.com, but in February 2007 Sullivan moved his blog to The Atlantic Online, where he now writes daily. In addition to support from Union Board and the Student Foreign Policy Initiative, Sullivan's address is presented in collaboration with the School of Public and Environmental Affairs, the College of Arts and Sciences, the Center for the Study of Global Change, the Political Science Department, the GLBT Student Support Services Office and the Political and Civic Engagement Program. The lecture is free and open to the public. For more information about Union Board, see http://www.imu.indiana.edu/board/about.shtml.